This Fragrance helps my day just by looking at it. 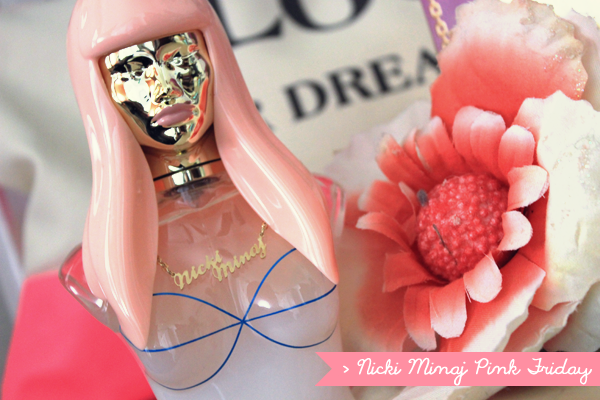 I have been a bit under the weather today so after a long sleep I decided to write up a blog post on non other than this gorgeous Fragrance by Nicki Minaj. Back in March, I opened an Email saying that I was invited to this Early-Morning 8.30am Event in Selfridges for the Launch of Pink Friday by Nicki Minaj. Unfortunately, I was unable to attend but the lovely people over at Elizabeth Arden wanted to send over the Fragrance for me. I have seen how many people have disliked the bottle but I am in total LOVE with it. 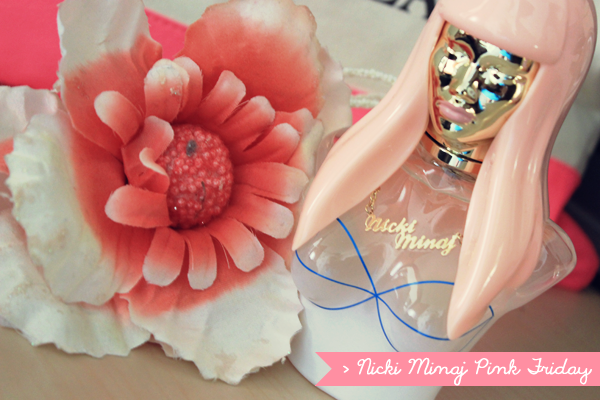 It indeed reminds me of a Barbie Doll that Sits perfectly on my Fragrance Shelve and brightens it all up. The bottle is very different compared to many Celebrity Bottle Designs. Key Features include the gorgeous Nicki Minaj Necklace that just sits nicely and also the Pink Hair with Gold are two of my favorite colours. The Scent is florally and sweet, I fell in love with it straight away as it has similar scent to the Juicy Couture Fragrances and as many of you know I am a sucker for sweet and fruity-floral scents. "The scent is an intoxicating floral - musky one as it mixes playful fruity notes, pink flower petals, creamy vanilla, musk and woods. It opens with juicy notes of star fruit, Italian mandarin, and a blackberry and raspberry hybrid called boysenberry. Lotus and starry jasmine petals are in the heart, while the base consists of caramelized pear, vanilla, musk and woody notes." I got many Compliments when wearing this perfume and many asking where to pick up this fragrance. For all my Maltese Readers, Till this date I do not think it's available on the Maltese Islands but It is Available in Selfridges, London and is available in 30ml, 50ml and also 100ml.